It is Liverpool’s oldest surviving city centre building and a fine example of Queen Anne-style architecture, yet the builders and architects responsible for creating Bluecoat have remained unconfirmed – until now. New research has discovered fresh information about the origins of this much loved Liverpool building, which dates from 1717 and started life as a charity school before becoming a centre for the contemporary arts. Bluecoat staff now believe they have identified the builders as master mason Edward Litherland and engineer Thomas Steers, the same duo responsible for Liverpool’s famous Old Dock (1715), as well as a number of other buildings around Liverpool. The information was found by examining records as part of heritage project My Bluecoat, ahead of the building’s 300th anniversary in 2017. Steers has been put forward as a contender before, alongside Thomas Ripley and Henry Sephton, but with no conclusive evidence. Because there was no mention in the School’s historic accounts records of an “architect’s fee”, previous researchers had also suggested that the fee may have been waived – and therefore not accounted for. However, the new research has pointed out that in the 1700s the term “architect” was rare, with masons and engineers like Litherland and Steers carrying out design work that would nowadays fall under an architect’s remit. And the central role of the two men during the construction period was confirmed by careful analysis of the accounts book, which revealed both of them received large payments. Gavin Davenport, Project Manager for My Bluecoat, says: “It’s really exciting that the work we are doing on My Bluecoat is starting to unlock some of Bluecoat’s secrets. It’s long been a subject of debate as to who its architects were. Now we can say with confidence that we know who is responsible for the design of this stunning building. “Whilst Steer’s role is not clear, we know Litherland was the chief mason for the build. Traditionally it is the master mason who would oversee the design of the building, though from 1709 onwards we see a pattern in Liverpool where Litherland facilitates the design of buildings by Steers. “The connection with Litherland and Steers is really important, as they were responsible for so much building work around Liverpool in the early 1700s. It really illustrates Bluecoat’s significant place in the history of the city”. Thanks to a grant from Heritage Lottery Fund, My Bluecoat will digitise a range of archives related to the building. These are held at various sites including Bluecoat, Liverpool Record Office, and the Blue Coat School in Wavertree, where the school relocated when it vacated its School Lane premises in 1906. My Bluecoat will bring these fascinating records together for the first time, alongside memories from the public. Steers and Litherland continued to work together after building Bluecoat, until Litherland’s death in 1739. Their work around Liverpool also included St. George’s Church, which was built on the site of the dilapidated Liverpool Castle, now known as Derby Square, and the entirety of the city’s Chorley Street with its houses, fashionable new theatre (which Steers would one day run) and artists’ coffee house. 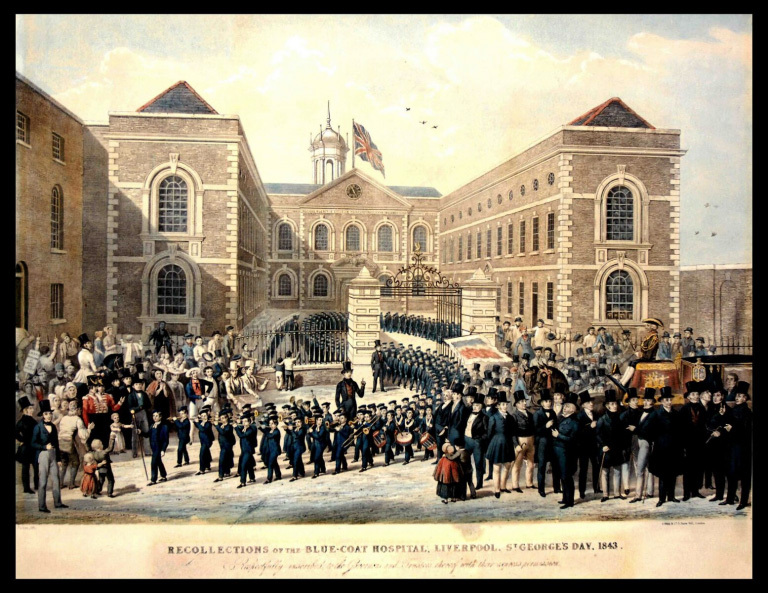 The discovery comes ahead of 2017 when Bluecoat will celebrate 300 years since the dedication of its building in 1717, which began as a charity school and went on to become the UK’s first arts centre. The tercentenary will be commemorated with a celebratory programme of special exhibitions and events over a period of 300 days throughout 2017, running from 4th February to 29th November. Bluecoat is Liverpool city centre’s oldest building, Grade One listed, and located within the UNESCO World Heritage Site. 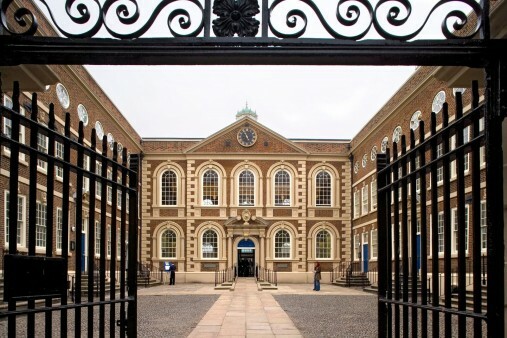 Built in the Queen Anne-style, Bluecoat has been in almost continuous use since 1717. It was founded as a charity school by the Anglican St. Peter’s Church opposite and by master mariner Bryan Blundell. After nearly 200 years, it became a centre for the arts, the first of its kind in the UK, being formally constituted in 1927 as the Bluecoat Society of Arts.